Britain, Netherlands and Ireland have condemned ongoing violations of international law by Israel in the Occupied Syrian Golan that include illegal settlement expansion, natural resource exploitation, land appropriation and home demolition. In November, Bert Koenders, the Dutch Foreign Minister, said that the Dutch government has taken serious notice of signals that Israel is planning to expand on the Golan Heights and to drill for oil. Minister Koenders explained that the Netherlands and the EU consider Israeli settlements in occupied territory to be in violation of international law and are speaking to Israel regarding its settlement policy. This condemnation of violations of international law by Israel follow statements earlier in the year from the United States and the European Union rejecting Israel’s illegal claims to the Occupied Syrian Golan. In response to Prime Minister Netanyahu’s comments during an Israeli government cabinet meeting held in an illegal settlement in the Occupied Syrian Golan, that ‘the Golan Heights will always remain under Israeli control’the U.S. State Department spokesperson, John Kirby, stated ‘that the U.S. position on the status of the Golan Heights is longstanding and is unchanged. Every administration on both sides of the aisle since 1967 has maintained that those territories are not part of Israel’. European Union High Representative Federica Mogherini reiterated this message the following day, stating that ‘the EU recognises Israel within its pre-1967 borders, whatever the government’s claims on other areas […] and this is a common consolidated position of the European Union and its Member States’. Al-Marsad welcomes these recent statements from Britain, the Netherlands and Ireland and looks forward to the international community taking concrete action to ensure that Israel complies with its obligations under international law and stops its illegal and discriminatory policies in the Occupied Syrian Golan. Background information about recent illegal settlement expansion, natural resource exploitation, land appropriation and home demolition is available here and here. The preacher added that Trump had made this promise during his election campaign to please the Jews in America and the world. “If we assume that this alleged pledge has been realized and carried out, this means that America recognizes that Jerusalem is the capital of the Jews and has thus declared a new war against the people of Palestine, and also against the entire Arab and Muslim nations,” Sheikh Sabri stated. The leaders of Iran’s Revolutionary Guards launched provocative statements against the Gulf states threatening to intervene in Bahrain and Yemen. The comments were reported by Iranian media after what they described as a “victory in Aleppo,” upon the massacres, starvation and displacement against civilians. Aleppo was considered as one of the strongholds of the opposition; however, the Syrian regime took a hold of it with the help and support of Iranian and Russian military troops. 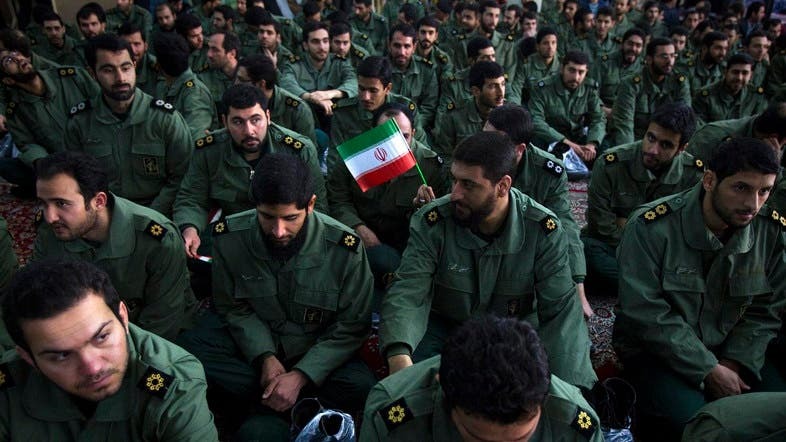 In this context, the deputy commander of the Iranian Revolutionary Guard Gen. Hossein Salami told the official Iranian news agency Islamic Republic News Agency that “The victory in Aleppo will pave the way for liberating Bahrain,” pointing out that Iran has an expansion project that will extend to Bahrain, Yemen and Mosul after the fall of the Syrian city of Aleppo. Salami said that “the people of Bahrain will achieve their wishes, the Yemeni people will be delighted, and the residents of Mosul will taste victory, these are all divine promises,” as he put it. He also pointed out that Iran is still providing unlimited support for the Houthi group, highlighting that Iranian missile could destroy the enemy targets in any area. The comments of the spokesman for the Iranian Revolutionary Guards Brigadier General Ramadan Sharif reveal the intentions of Tehran to expand geographically through bloody wars and military interventions in the Arab World. Sharif noted that the Iranian forces and its sectarian militia from Iraq, Afghanistan, Pakistan and Hezbollah with the support of Russia played a “fateful and very influential role” in the battles of Aleppo. It is noteworthy that Iran’s hostility against Bahrain and the Gulf states has escalated since the Prime Minister of Britain, Theresa May, vowed her country’s support for the Gulf States in the face of Iranian terrorism. GAZA CITY, Gaza Strip — Fatah’s Central Committee will meet later this month to select a vice president from among numerous contenders. As Fatah’s seventh general congress concluded Dec. 4, none of the top vote-getters from the internal elections had been selected for the position. Imprisoned Fatah leader Marwan Barghouti received the most votes in the Dec. 3 elections. Having scored 936 votes, Barghouti is qualified to serve as vice president, while Jibril Rajoub, a member of Fatah’s Revolutionary Council, came in second with 838 votes. A source close to Barghouti told Al-Monitor on condition of anonymity that Barghouti believes those who participated at the conference granted him the position. Barghouti thinks he should bear the responsibility that comes with such a position, even from behind bars, the source said. Central Committee members are discussing the feasibility of that idea and should announce a decision by the end of the month, the source added. Article 64 of Fatah’s statute stipulates that the Central Committee shall elect a secretary and two vice presidents from among its members. However, the movement only appoints one vice president and the position is currently occupied by Abu Maher Ghneim, who was also appointed secretary during Fatah’s sixth general congress in 2009. “The vice president does not necessarily need to secure the highest number of votes in the internal elections during the congress; he is chosen by the 18 members of the Central Committee following discussions,” Azzam al-Ahmad, a Central Committee member, told Al-Monitor. Ahmad said the committee meeting held Dec. 5 was only for protocol; no tasks were distributed to members and no issue was addressed. Barghouti was arrested by the Israeli army in 2002. He was given five life sentences plus 40 years in prison. Israel accused him of leading Fatah in the West Bank and held him responsible for armed operations carried out by Al-Aqsa Martyrs Brigades, Fatah’s military wing, that had killed and wounded dozens of Israelis. Naji Sharab, a political science professor at Al-Azhar University, told Al-Monitor that Barghouti’s high number of votes proves he is the person the movement most agrees on, after President Mahmoud Abbas, and thus all those who voted for Barghouti want him to serve as vice president. Sharab explained that choosing Barghouti to be the vice president would be the first real test facing the elected Central Committee, as it would challenge Israel’s political discourse and its stance against Barghouti. However, since Barghouti is in jail, Sharab expects the Central Committee to choose Rajoub, who would then be Fatah’s candidate in any future Palestinian presidential election. Palestinian political analyst Alaa Rimawi told Al-Monitor that Barghouti’s issue has become symbolic and Fatah is not seriously considering giving him a real role from behind bars. “Those who want Barghouti to have a true role within the movement should work on releasing him first,” Rimawi noted. Rimawi pointed out that Rajoub is one of the most influential people in Fatah and stands a good chance of becoming vice president, although some figures within the movement, such as Nasser al-Qudwa, believe they deserve the position. He stressed that the conflict within Fatah and the Central Committee in particular, in terms of choosing a vice president, cannot be easily resolved in light of the intense competition. He also said it is more important for the movement to focus on relieving the stagnation of its political program, which has led Fatah downhill on all fronts. Most observers believe Rajoub will become vice president, given his good relationship with Abbas, who would not want Barghouti as his vice president because it would incite Israel against the Palestinian Authority. The UNRWA closed 6 of its schools in al-Khalil and Bethlehem to the south of the occupied West Bank for raising the Palestinian flag. An internal letter addressed to the closed schools’ principals said that based on the decision of the director of UNRWA operations in the West Bank, the 6 schools will be closed starting from next Sunday because of raising the Palestinian flag. The same letter ordered the teachers of the closed schools to move to other schools in the two cities. An official in the Syrian Coalition said that Russia is seeking to build on its recent military operation in Aleppo to impose a solution in Syria that does not meet the aspirations of the Syrian people. Secretary of the Coalition’s political committee Riad Hasan condemned the war crimes being committed by the Assad regime and its allies in Aleppo and other Syrian cities. Hasan went on to say that Moscow is seeking to promote so-called opposition bodies that were manufactured by the Assad regime, Russia, and Iran. He stressed that these solutions are inconsistent with international resolutions on Syria, noting that this move is aimed at keeping Assad in power. Hasan pointed out that the solutions Russia is seeking to impose in Syria violate international law, adding that Russia is seeking to exploit the results of the battle for Aleppo where the worst massacres since World War II are being committed against the people of the city. Member of the Syrian Coalition Nagham Ghadiri said attempts by Moscow and Tehran to rehabilitate the Assad regime reflect the Russian mafia-like mentality, adding that Syrian people who have risen to regain freedom and dignity will not back down till all their demands and aspirations are met. 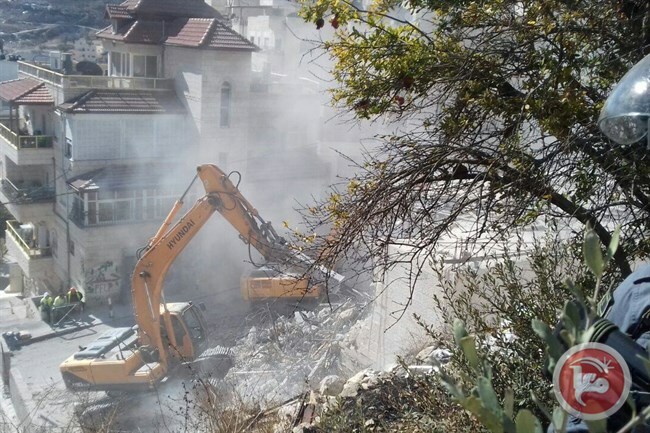 BETHLEHEM (Ma’an) — Israeli Prime Minister Benjamin Netanyahu has reportedly held two meetings over the past weeks regarding the demolition of Palestinian homes and structures inside Israel and occupied East Jerusalem, according to Israeli news site Arutz Sheva. A paramilitary police officer carries the lifeless body of three-year-old Aylan Kurdi after he drowned when the boat he and his family members were in capsized near the Turkish resort of Bodrum early Wednesday, Sept. 2, 2015. U.S. President-elect Donald Trump nominated David Friedman, a pro-settlement bankruptcy lawyer, to be the next US ambassador to Israel, Haaretz Hebrew newspaper revealed Friday. David Friedman, who had more recently served on the president-elect’s advisory team on the Middle East, said that he looked forward to delivering Trump’s pledge to recognize Jerusalem as Israel’s capital and moving the US embassy there. Friedman, 57, serves as president of the American Friends of Bet El Institutions, which funds settlements in the West Bank. He disagrees with the general international consensus that the settlements are illegal and he opposes a ban on settlement construction on the West Bank and in East Jerusalem. And he has long supported an undivided Jerusalem as the Israeli capital. Friedman is also a fervent opponent to another orthodoxy of US foreign policy, the “two-state solution” to the Israeli-Palestinian conflict, in which the territory would be shared. “That’s the ‘two-state solution’ – an illusion that serves the worst intentions of both the United States and the Palestinian Arabs. It has never been a solution, only a narrative. But even the narrative itself now needs to end,” Friedman wrote on the website for the religious Zionist network, Arutz Sheva. The Israeli newspaper, Haaretz, described Friedman’s views as being on the far right of the Israeli political spectrum, more hardline than Prime Minister Binyamin Netanyahu. The International Comimttee of the Red Cross (ICRC) called on all sides on Friday to continue the evacuation operation which was suspended hours earlier. “Regretfully the operation was put on hold. We urge the parties to ensure it can be relaunched & proceed in the right conditions,” Robert Mardini, ICRC regional director for the Near and Middle East tweeted. More than 40 wounded people and around 3,000 civilians including children and women were evacuated from east Aleppo on Thursday in two evacuations, the ICRC said in a statement. Mardini stated that “many more” rotations of buses and ambulances might be needed in coming days.